Kumihimo is the Japanese form of braid making. The most prominent historical use of the cords was by samurai as both a functional and decorative way to lace their and their horses' armor. Kumihimo cords are now used as ties on jackets and obijimes, which are used to fasten an obi or kimono sash. They also make beautiful necklaces. 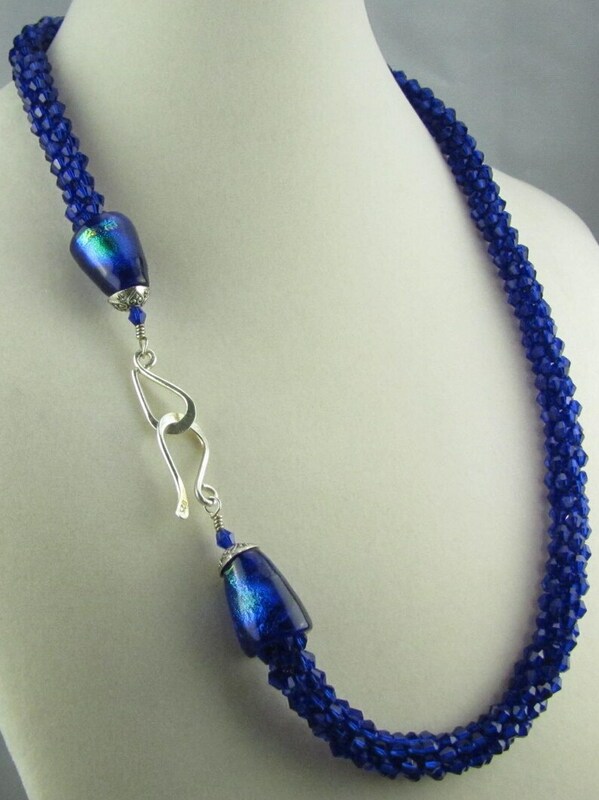 This beautiful 8 cord kumihimo necklace is braided with cobalt bicone crystal beads and features beautiful hand-made dichroic cones. The necklace is 25 inches long.